Though the 9mm and .45 ACP maintain a stronghold on the industry, older cartridges that once reveled in accolades continue to hang around the fringes. Every once in awhile, one of these “oldies” makes a play for mainstream success again, vying for a chance to reclaim a fraction of popularity they once enjoyed. The 10mm and .44 Special are two such rounds. At one time riding the heights of popularity, these calibers tumbled out of favor, but have since returned to some success in recent years. As a new generation begins to fall in love with the quirky 10mm and .44 Special cartridges, the question remains: what brought these stalwart calibers back to life? The 10mm’s hay day came in the late 1980’s after the infamous FBI Miami shootout in 1986 had federal law enforcement rethinking the 9mm and .38 Special. Opting for a more powerful caliber, brimming with stopping power the FBI adopted the 10mm in 1990. With the announcement, interest in the round rose. Even Sonny Crocket was slinging 10mm lead with the Bren Ten on “Miami Vice.” The fanfare, however, was short-lived. The FBI ordered 10,000 Smith & Wesson 1076 pistols but only accepted 2,400 before cancelling the contract due to parts breaking during routine training and qualifying. Additionally, agents discovered that the power-packing round meant massive recoil that left wrists obliterated after shooting. The fallout of the FBI cancellation had a trickle down effect as gun makers on the civilian side pulled the plug on their 10mm offerings. Colt, for instance, stopped making the Delta Elite in 1996 due to lagging sales. Despite lacking public interest, a small circle of dedicated fans clung on hoping that the 10mm would one day make a triumphant return. Though wrist-wrecking recoil and problematic firearm break-downs plagued the 10mm, the .44 Special’s undoing came from its successor. 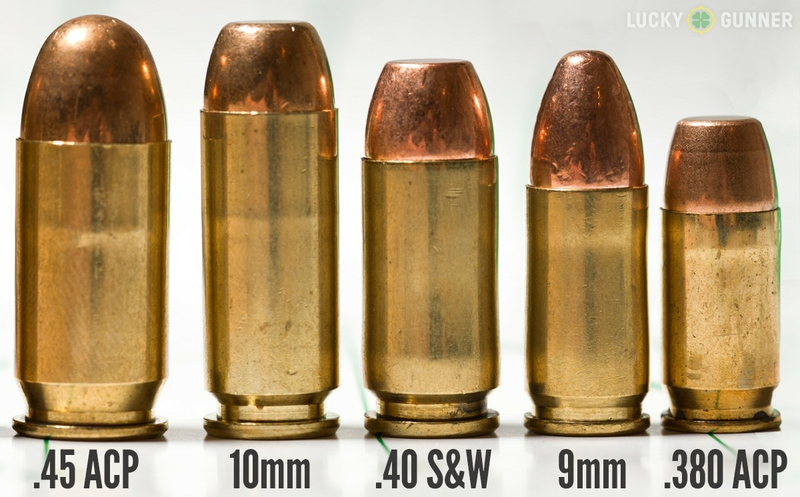 The rimmed .44 Spl cartridge was originally introduced in the early 1900’s by Smith & Wesson. Based on the .44 Russian cartridge, Smith & Wesson lengthened the Russian’s case and paired it with a smokeless powder cartridge for the .44 Hand Ejector 1st Model “New Century” double-action revolver. A favorite due to its accurate yet low-recoil shooting, the .44 Special reveled in its success up until the mid-1950s when the souped-up .44 Magnum usurped the Special load. The .44 Special didn’t stand a chance next to the newer load, which packed serious stopping power and eventually forced the Special out of production — at least for awhile. Much like the 10mm, the .44 Special was never truly eradicated. A few dedicated fans clung to the older round and prevented its extermination. Both the 10mm and .44 Special have breathed new life in recent years as gun makers have breathed new life into these older calibers. Ruger announced the return of the .44 Special to its GP100 revolver line in December 2016. “The .44 is quite capable,” Gurney said. “It’s just a blast to shoot.” He said the resurgence of these older cartridges has many factors but one that is clearly defined is the availability of ammunition. When manufacturers take a chance on back older chamberings it, in turn, forces ammo makers to stock these vintage loads. “When we bring out something like (the GP100), it opens up a lot of people’s eyes and lot of people start asking for it,” Gurney said. 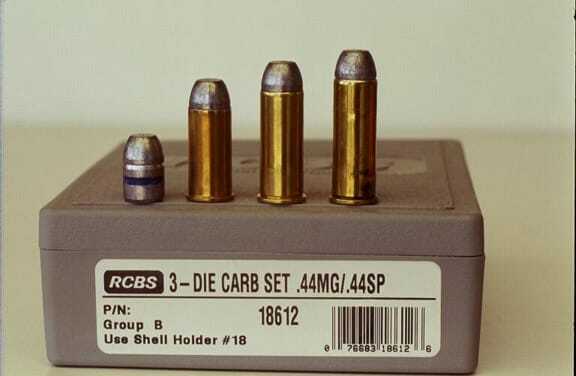 It’s not all down to ammo, at least not for the 10mm. Technology can be credited for this cartridge’s return to the limelight. As metallurgy and machining in recent years has vastly improved, so has the ability for modern firearms to handle the power of the 10mm. Stronger metals paired with precision CNC machining turned the tides on the 10mm. With frames that no longer buck or crack under the 10mm load’s power, more gun makers are boldly offering the round. Colt reintroduced the Delta Elite while Kimber, Dan Wesson, Rock Island Armory, Sig Sauer and even Glock dipped their toes into 10mm waters. Dubbed the “do everything” round the 10mm is even gaining steam among hunters who are using it to tackle smaller game and as a back-up against bears or boars. Though the 10mm and .44 Special won’t displace the 9mm or .45 ACP kings, these rounds are proving that with enough fans and a little nudge from gun makers old cartridges can breath new life once more.